There have been times in my life when I felt just like an elephant in the Catskill Mountains. As you can imagine, it is very rare to find an elephant in the Catskill Mountains, unless you were to venture into the Catskill Game Farm. Unfortunately, I learned that the Catskill Game Farm closed in 2006, while I was preparing this blog post. I wonder just how many people had the chance to visit the Catskill Game farm during its 73 years of existence! 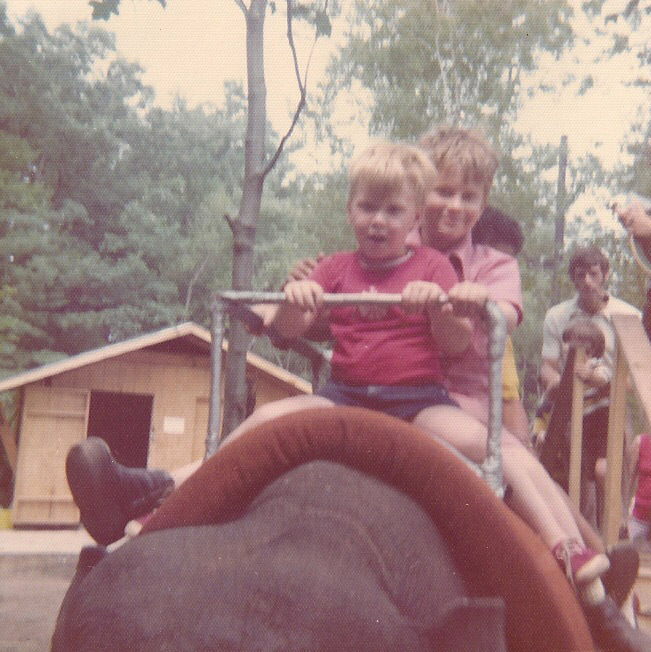 There were so many times when I felt out of place, like the elephant, as I was growing up. When I was born, one of my legs was significantly shorter than the other. I grew up wearing a right shoe, with a lift on the bottom. Each new pair of shoes never looked new, as I had to stick with shoes that offered added ankle support. As the years passed, the lift got a little shorter – due to medical advancements I did not fully understand, but appreciate today. As a result, I was physically different than all of the other students in school, for quite a while. As you can imagine, students in Schenectady have a way of being very observant, and a little opinionated, as is the case of so many other places. And of course there were nicknames from other children, and some strange stares – from adults and children. The lift on my shoe eventually went away, but the journey for greater self-confidence was a long one – like that of an elephant trudging along in the Catskill Mountains. It was during a challenging journey that I became the person I am today – the journey made me stronger, and allowed me to appreciate and see things that many others pass by. In fact, the journey continues even today. As a result, I see value in many who are overlooked, and believe in being relentless in the pursuits that truly matter to me. I’ll bet that nearly everyone who reads this post has been on a similar journey. We’ve all had challenging times in life, to some extent. I hope that you’ll take the time to remember and celebrate your own victories over adversity. And if today you feel like the elephant in the Catskill Mountains, stand tall and proud. The challenges and unique times make us stronger during the times that truly matter. They make our journey much more interesting – as if we were taking a trip across the Catskill Mountains on an elephant.